There are also lounges in the airport that allow smoking. Update from Viridiana H. on the 16th Feb 2019: There is also one smoking lounge and it is next to gate A11. Opposite Gate A52, photo below provided by Michael F. on the 17th April 2018. No smoking before Passport control. Important update from Vivienne B on the 22nd Aug 2018: T1, Area B, Level 3, near Gate B4 - This smoking area is no longer there. It shows on the FRA map still. 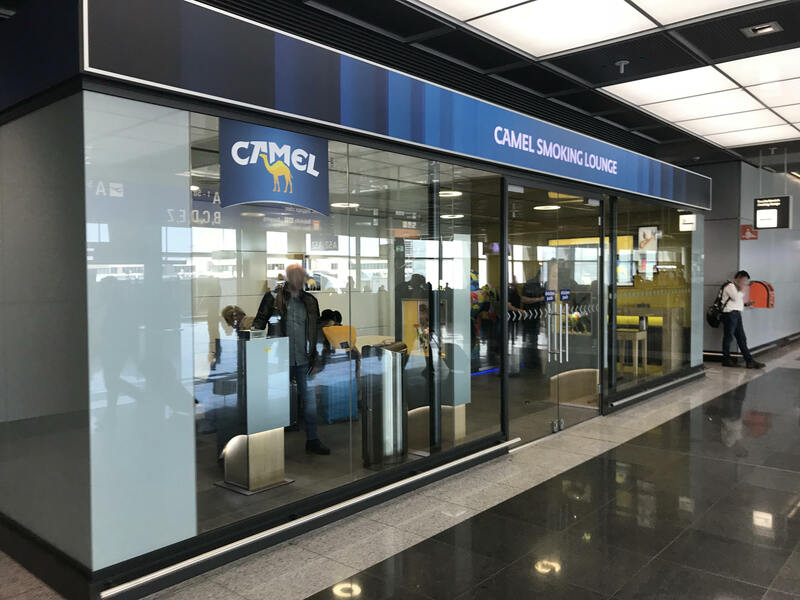 If you are leaving from gates B1-B9 there is nowhere to smoke as it is a Schengen departure area and the smoking cabins in B are after passport control. Smoking at Gates Z , in front of gate Z52. Update from Andreea P on the 5th Feb 2019. A Gate Lounge: Photo below provided by Michael F. on the 17th April 2018.